Pastor Alicia (also known on social media as ladypastorpreneur) announced a new avenue where she will use her gifts to expand the Kingdom of God and help other ministries and individuals beyond Excel Church to excel. As you may already know, she practiced law for ten years, and served as faculty at a university and an academy, as well. As an attorney, she provided legal counsel to individuals, churches and companies. She has been a pastor for more than a decade also, and served as CEO for both our social service agency and day care birthed as outreach ministries. As such, she has counseled members, created entities, secured contracts and supervised staff. For the past three years, she has also been coaching individuals in the business arena. First, she achieved the rank of director in a direct sales company by effectively coaching a national team​. Now, she is ascending the ranks in a network marketing company by empowering a team of women and men nationwide. Until now, her vast experience and knowledge has been shared primarily with those under her leadership within Excel Church or her business. Given the vast number of personal and professional responsibilities she holds, time and wisdom precluded her from doing otherwise. However, after receiving many requests for assistance and taking the matter before the Lord in prayer, she finally discovered the perfect platform to extend this knowledge to others. Using the power of video conferencing, she will now be offering group coaching on a limited schedule. Group sessions will be available in January for those wishing to plant a church, establish a non-profit, launch a business or develop their leadership skills. There will also be webinars for those desiring to balance Faith, Family, Fitness & Finances. By taking advantage of her legal background, coaching expertise and hands-on experience in these areas, participants can shorten the learning curve, save time and avoid costly mistakes so that they can begin 2018 with a solid plan for success. 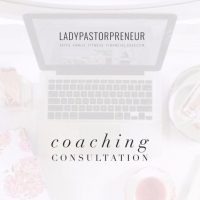 Since space is limited, those who are interested in this group coaching opportunity should register at http://bit.ly/coachalicia as soon as possible. Additional sessions will become available as well, including one for those establishing a 501(c)(3) tax exempt organization, which will be led by our senior pastor, Pastor Charles Lytle. Other sessions will assist with personal growth, business development and church administration. Next month, there will be a webinar for anyone interested in working from home to make money for expenses, savings or retirement in any business. This webinar is perfect for those that need to supplement their income, want to transition from working outside the home, are tired of someone controlling their schedule, need to save extra money for something special or desire to store up a nest egg for retirement. It will be offered Tuesday, December 12th at two times to accommodate various schedules. Registration is quick, easy and FREE for a limited time! Register at http://bit.ly/795-973-205, if you are available in the afternoon, or at http://bit.ly/307-678-457, if you prefer evenings. Whether this is an answer to your prayers or you are excited for what God is doing in our pastor's life, we would love to hear from you with words of encouragement! There are great things on the horizon for you, and it is her earnest desire that her God given gifts and talents can be used to help you excel!